You may be looking for hot water boilers to add to your current hot beverage offering. Maybe you need a boiler to allow for the option of tea, hot chocolate or soup if these aren't available on your current coffee machine. Or perhaps you simply require a hot water boiler to cater for your whole hot drink service. With different boiler capacity options to choose from, excellent energy efficiency and compact footprint we can provide a commercial hot water boiler to suit any business needs. Great for catering, restaurants or hotels, a hot water boiler is an essential for many organisations. 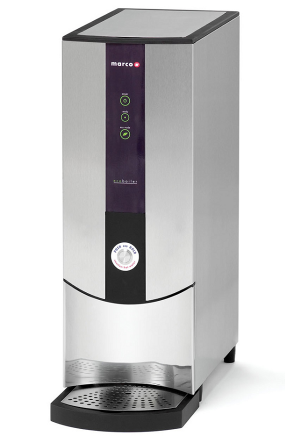 The Ecoboiler is an energy efficient water boiler with a compact footprint, which plumbs directly into a mains supply.